Our first red was harvested in September 2013 and bottled in June 2014. The variety is called Regent and the vines grow in our organic vineyard in Sulzfeld (just a few kilometers away from our winery) on shell limestone. The grapes were bursting of ripeness. They were crushed and fermented on the skins for 20 days, gently pressed and the juice filled in a ten year old barrique. After malolactic fermentation the wine was racked and filled in a barrique of the same age to ripen in a chilly corner of the cellar. Finally we put the wine in a steel tank the day before bottling which was done manually on June 7th 2014. How does it taste? Young and fresh as you can expect a young red to taste. It’s super light with its 11,5% alcohol but still has a nice amount of tannins giving it a little weight. 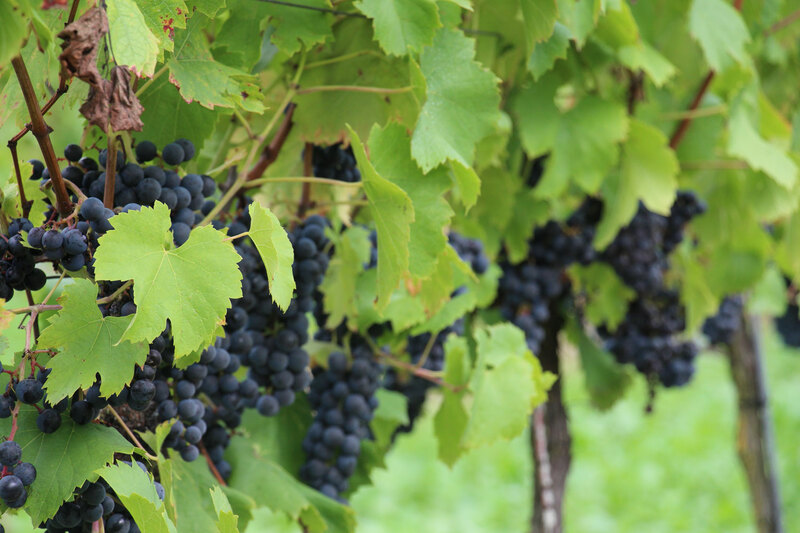 Due to it’s low alcohol you would expect a light color but the Regent grapes made the wine deeply red – almost purple. The gentle cherry flavors come out best if you serve the wine slightly chilled. We recommend something around 15°C/59°F, a temperature normally achieved if the bottle/decanter goes in the fridge an hour before serving. Giving the wine an hour to breathe before serving is also recommendable. I would love to know about these wines and how i can get them in my shop.